Avoid this tour in bad weather especially, but don't necessarily expect to learn about Gozo anyway. The day we booked for was raining heavily - obviously there was nothing that the tour operator could do about that, but it meant that we were in covered jeeps, which meant we only saw a tiny bit of Gozo through the opening in the back (the thick plastic on the sides was almost impossible to see through). The only commentary from our guide was to tell us which village we were driving through - we could have got that information by turning on the location on our phones. When we did stop anywhere, he didn’t give any explanation about what we were looking at eg ‘this is a church..........’, nothing about what it was called or why it was interesting. Apparently one of the other guides chatted nonstop to his passengers, so it seems we were unlucky with our allocation. Rain was dripping on us from the roof covering for the whole day, so we ended up wet and cold. My husband had to sit hunched forward to avoid having the cold, wet roof-covering resting on his head. As I mentioned earlier, the tour operator couldn’t help the weather, but we both felt that the tour either should have been cancelled, or used a minibus, as at least that way we would have seen something of Gozo and we'd all have had some commentary. We complained to Viator who responded with this message from the tour operator: "The weather was not as bad as the client mentioned.  Also, as mentioned by the client – the weather is not in our control. The tour consisted of 20 other persons and no one has complained about the tour. No refund is to be given." Obviously we weren't impressed with that reply so I sent this follow up message to Viator: 'We were not complaining about the weather (as I said in my email). Although it was so wet that our shoes still haven’t dried out a day later. Our driver even said at one point, it never rains like this, it’s miserable, we can’t show you what we usually would. 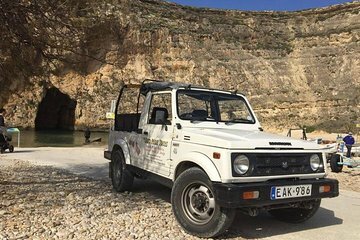 Our complaint was due to the fact that we saw very little of Gozo from inside the closed-in jeep, were wet and uncomfortable and even worse, learnt next to nothing about the place, which is the main reason we take tours. The fact that no-one else complained is immaterial - our experience was this was the worst tour we’ve been on (many previously have been in heavy rain and we wouldn’t dream of complaining just because it was wet). Nous sommes partis avec un guide canadien, Yannick, une perle ! Ils nous a appris beaucoup de chose sur malte et gozo avec humour et le sourire ! Les paysages de Gozo sont à couper le souffle et la découverte en jeep est plus qu’agréable! Le repas du midi est vraiment très honnête! this was a wonderful day the weather was amazing, and our guide should get a medal as he was fantastic. At the beginning of our trip he told us we were going to have an amazing day and he made sour we did. From beginning to end he had us laughing and his knowledge was fantastic, we had lunch too and the food was amazing, a bit disappointed that there was only white wine no red, but that's me just been pernickety.the whole day was a great experience, i would really recommend this tour for a whole day out. it made our holiday. Very well run from start to finish. It is more like a private tour as the jeep can only take 5 - 6 passengers with the driver. The driver took us to many points of interests although you can't stay too long in each one. In my opinion, this trip is by far better than taking the big coach tour. The best part was that they picked up and dropped off at my hotel, very convenient. De minivan kwam ons redelijk op tijd ophalen, maar desondanks (file en ik vermoed bedoelde ferry gemist) waren we veel later dan 09.30 uur op Gozo. Hierdoor moesten we de keuze maken tussen de tempels of gaan zwemmen. Dat vonden we zeer jammer! De lunch was oké. Geen hoogstaande keuken, maar oké. De namiddag was wel echt heel leuk. Manuel, onze chauffeur, was een super lieve man die ons verhaaltjes vertelde onderweg over de dorpjes. We hebben veel meegekregen, maar elke stop was beperkt in tijd. Voor ons was het alvast een fijne uitstap. De terugtocht met kleinere boot was ook een plus. Kort samengevat, ondanks een wel erg chaotische organisatie, hadden wij een leuke dag. This trip was amazing. Our guide Louis did a great job showing us Gozo. The transport to Gozo from Sliema went smooth. Was a real bonus that we got to see the Blue Lagoon with powerboat on the way back. A lot of value for the money. Good guide and meal provided. Scenery was spectacular and enjoyed the extra option of the blue lagoon boat ride. Beware!! If you expect an off-the-main-path ride through the country side you might find yourself somewhat disappointed. The announced travel on small country roads not accessible to larger vehicles i.e. tourist buses was limited to a few minutes to see not so impressive salt pans. If you are interested in historical sites you might be even more disappointed, a feeling which was shared by my three co-travelers. Pick-up at 8:30 AM in our case and return to the hotel occurred in a timely manner. But the actual jeep tour started only around 10:45 AM with a delay of at least an hour due to waiting for delayed customers. This delay created unfortunately time pressure throughout the whole jeep tour. We only passed by the famous Ggantija Temples Tour Guide: 'These temples are 1500 years older than the pyramids but a visit would take 40 mins and we have no time for that. ', an expected highlight of the tour and announced tour stop see notification of extra entrance fees to be paid. The Rotunda of Xewkija which comprises the third-largest unsupported dome in the world was pointed out to us but we did neither stop to take at least a photograph from the distance nor to see the dome from the inside of the church. Visits of cultural/historic sites were limited to a 10-min stop at the basilica of Ta' Pinu and to a 1/2 hour visit of the citadel of Victoria which included a down-hill walk back to the jeep. Under the given time constraints the actual inspection of the citadel was a hasty non- enjoyable 15-min squeeze through the tourist crowds. The announced visit of a 'Gozo Crafts Center' turned out to be a stop at a small souvenir shop where we were offered a tiny glass of local wine to fulfill the promise of 'local food tasting'. All in all, the jeep tour seemed somewhat over-advertised and did to some extent not keep the promises given. To be fair, on another day the delay and time pressure experienced by us might not occur. Yet the mere chance that you might share our fate if you are unlucky should make you wary. In my opinion you would be better off using a hop-on/hop off bus to explore Gozo, thereby setting your own timetable. 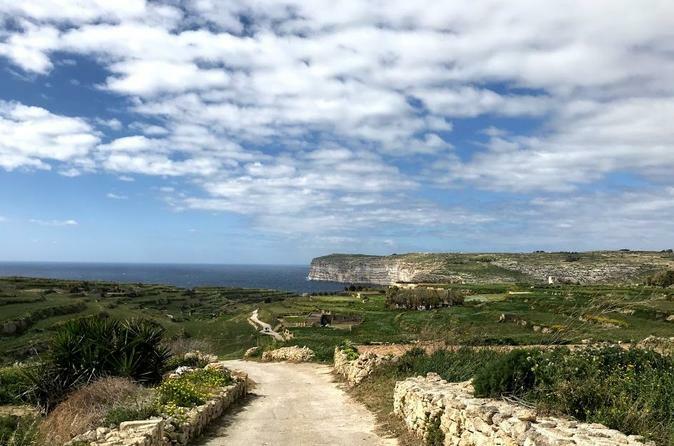 You should take a coach tour or quad bikes of GOZO instead, and the reason for this is rather than spending time at the quality sites, on the jeep you spend most the time on bumpy roads and only a few minutes at each site - and some sites will be skipped completely. The itenary was not followed and we did not visit the sites we were told we would. The planning was poor - several people missed the ferry to GOZO and some of us who arrived early and on time were left waiting. We were then swapped between jeeps, which was utter chaos as each jeep had taken a different route, meaning things were missed. They wanted to skip the temples, which we wanted to see and offered that we skip lunch which had already been paid for - after much hassling with the management we managed to go to the temples, but we missed the craft centre as a result. Apparently some people had good tour guides, but as there are 6 people in a jeep and if you land the front seat it's rubbish, there are many guides and your chances of getting a good one are slim. We had 3 different guides, 1 was good, 2 were bad. The archway no longer exists as it has fallen down. The best part was the power boat ride, but if the weather is bad you will not do this. There was also no toilet stops - I had to get out the minibus on the way back at another hotel to use the toilet facilities - expecting to hold your bladder for 3 hours on a hot day where you should be drinking water is not reasonable. TAKE A DIFFERENT TOUR - if you want to go off-roading the quads looked fun, and if you want to see the sites, get onto a coach.